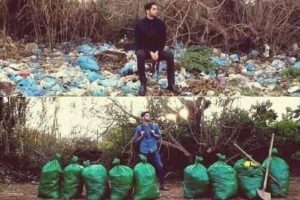 If you are a social media user, you may have seen the viral #trashtag challenge. It may have even inspired you, as it has many others, to actually take part in it. How did #trashtag become so popular and why did it inspire so many to join in a quest to clean up our lands and water bodies? Well, all it took Byron Román was a before-and-after photo of him standing in front of collected trash. Throw in a challenge directed at “bored teens” to do the same. And ask them to share the results with their friends. Voilà, a successful environmental campaign took off. Meanwhile, costly public policies that try to move people to be more responsible and active citizens, often fail. What’s the difference between the two? How can we design such solutions to save the environment at scale? Read on and find out how you can also apply the secrets to motivate anybody to save the world! Wait.. Who are we fighting against? The majority of the challenges we are facing today (deforestation; global mass extinction; water and air pollution; youth unemployment etc.) are the consequence of our unsustainable and unhealthy behavior. We choose driving over cycling or walking. We over-consume, waste food, and we fail to recycle and save energy. We need to change ourselves to save the world. The problem is that the traditional way of thinking is inadequate to do that. Public interventions often fail to change behaviour. And that’s because people are treated as 100% rational beings, always trying to maximise their utility and well-being. As such they assume that by by simply punishing or giving information or (monetary) incentives, people will automatically adopt the desired behaviour. Scientific research has shown this is not the case. We are not the rational human beings we like to think we are. In the words of the Nobel prize winner Richard Thaler, people “misbehave” all the time. Thaler and his colleagues remind us how even small changes in the way governments and companies communicate and present their products and services, can make significant differences. This is what’s being generally called as the art of “nudging” – guiding people towards certain desired behaviours. A simple but often forgotten way of encouraging the desired behavior is to make the action required as easy as possible. Do you want people to recycle? Make recycling easy. Three other guiding principles popularised by the Behavioral Insight Team (BIT) with the so-called “EAST” model, involves making specific behavioural interventions social (use social norms – such us reciprocity), and attractive (catch people’s attention) and timely (intervene at the right time, for example before a habit has been formed). Governments alone will not be able to address the pressing environmental and social issues. 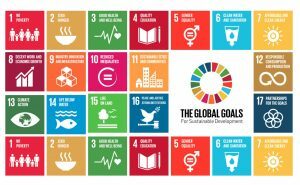 To ensure a framework for global action, the United Nations (UN,) in January 2016 launched 17 Sustainable Development Goals (SDGs). To ensure prosperity, we need to meet them by 2030. Figure 2. Sustainable Development Goals (SDGs). To achieve such ambitious goals, the United Nations (UN) is changing on several fronts. Innovation labs have been established, and new approaches currently mainstreamed in policy design. As Abdoulaye Mar Dieye – UN Assistant Secretary-General – reports, over the past years, UNDP has been investing in applying findings from behavioural science in its programme design and its support for policy formulation. However, the successful implementation of the Sustainable Development Goals (SDGs) still overly relies on governments to act. But what if they don’t? Can the UN and other organizations reach the young generations and truly inspire action? And what can companies do to change people’s behaviour? Governments and international organizations are now promoting behaviorally-informed policies, rather than top down approaches. This is a step forward. However, they still treat people as passive beings who need a subtle little “push” (a “nudge”) in the right direction. This is not dissimilar to how marketing has traditionally moved people to buy and consume more, or choose to purchase certain products over others. Can we take a step further and actively engage people? Can the desired behaviors be not just easy, but also fun and engaging, so people want to do that? Can we create long-lasting positive behaviors? At The Octalysis Group (TOG), founded by gamification pioneer Yu-kai Chou, we believe so, and the answer lies in the power of games. 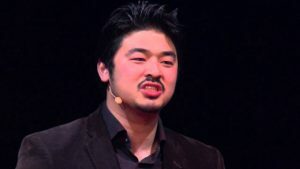 Figure 3: Yu-kai Chou: Gamification to Improve the World, TEDXLausanne. Did I say “games”? Like the things you play for fun? How on earth will that help us? Don’t we need serious solutions for serious problems? What can games teach us here? Well, the game industry has been the first one to perfect the art of designing for human motivations, the cornerstone of people’s behavior. Game designers have perfected the art of “Human-focused Design”. They optimized their designs for the human inside of us. This is why well designed games can be so engaging for so many people. Octalysis Gamification takes this Human-focused Design a step further: we look at people as “players” and take into account human motivation in the entire design process. We do that by analyzing what we call the 8 Core Drives of human motivation. They explain why people (across cultures) do what they do. 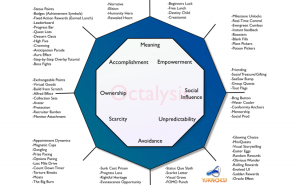 Based on behavioral science, game mechanics, and social psychology, The Octalysis Framework is the most holistic model to understand human motivation. It looks at both extrinsic (Left Brain) and intrinsic (Right Brain) motivations. In other words, things we do because of the result (for example, a reward) and things we do because the experience is enjoyable (for example, using our creativity). They include White Hat motivators (which lead people to feel in control of, and good about their behaviour) and Black Hat motivators (which creates a sense of urgency, but not necessarily a good feeling). If none of these 8 Core Drives are present in an experience (whether that’s a campaign, an app, or a website), there is no motivation to take action. For example, there may be many reasons why you are reading this blog post? if you are reading this blog post because you are curious about what Gamification is about, or what the connection between Gamification and sustainability is, you are motivated by Core Drive 7: Unpredictability & Curiosity. If a friend or a colleague suggested you to read it, then Core Drive 5: Social Influence & Relatedness led you here. If your boss told you to read it, is likely you’re reading it because of Core Drive 8: Loss & Avoidance. So How Can We Save the Environment? At the beginning of this blog post, I promised to reveal the secrets behind the successful #Trashtag challenge. While it may seem new, the trend was originally started as the ‘Trashtag Project’ back in 2015 by UCO, a company that makes outdoor gear. But it was with Román’s post that it really took off. “Here is a new #challenge for all you bored teens,” Román wrote. Why was this more successful? Let’s put on our Octalysis lenses. First off, that’s because we are more encouraged to take action when we feel a sense of relatedness (Core Drive 5: Social Influence & Relatedness). In fact the #Trashtag challenge did not come from a company, but from a teen, directed at teens. They felt “this is for people like me”. The post caption is also framed as a challenge. Challenges move people because they prove that we can do something: that we are tough, capable, strong and brave (Core Drive 2: Development & Accomplishment). Moreover, when a challenge provides a chance for us to show off our strengths, as in the case of social media challenges, we are much more likely to do it. The #Trashtag challenge has also very simple rules: “Take a photo of an area that needs some cleaning or maintenance, then take a photo after you have done something about it, and post it.” Viral challenges are indeed short to be accomplished and easy to share. The #Trashtag challenge carries an important message (CD1: Epic Meaning & Calling): don’t wait for someone else (e.g local government) to clean up. Just go out and help your community. When people know that taking the challenge might help someone or help raise awareness, they are much more likely to take part in it. Epic Meaning & Calling is reinforced by a heroic photo of Román standing next to trash collected that carry the message “mission accomplished”. It also likely that people will choose to clean up places they care about in their city and neighbourhoods. And because those places are also known (or even meaningful) to their friends, they relate to them (Core Drive 5: Social Influence & Relatedness). Not only you are likely to be motivated by people like you (you peers or your friends) but also by influential people. Even when you don’t particularly like or follow a certain celebrity, their voice is much stronger than that of an average person and they are more likely to affect the audience. At Octalysis we call this Rockstar Effect. This has played an important role in this challenge, as many influential people have joined in with the trend. Finally, when a challenge becomes viral, it is very hard not to notice it. Suddenly, a large number of people are talking about it and it is natural that you want to be in it for fear of missing out (Core Drive 8: Loss and Avoidance). At The Octalysis Group (TOG) we truly believe Human-focused design and Gamification will lead the next human-digital transformation by making mundane activities more fun, and fun activities more productive and meaningful. However, as part of our mission, not only we never work for companies that already provide addictive (and harmful) products (such as gambling, alcohol, tobacco), but we also enjoy helping government agencies and purpose-driven companies engage their audiences to make the world a better, healthier and more sustainable place. 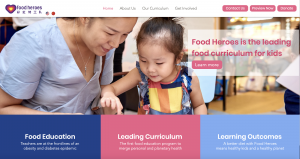 A recent social project we worked on is Food Heroes, a gamified education program which empower kids and families to make smart food choices for personal and planetary health. As reported by Brett Rierson – World Food Programme Representative in China – Chinese children are in a health crisis. Overconsumption, western diets and sedentary lifestyles in urban areas have created an alarming rise of obesity, diabetes and other chronic diseases. In one generation, the percentage of Chinese children who are overweight skyrocketed from 5% to 20%. The Food Heroes initiative takes into account that eating is a social activity, and so it engages young Chinese children through the power of play. The program aims to create new healthy eating habits at school and home. It achieves that objective by implementing fun activities that include a sense of Core Drive 1: Epic Meaning & Calling, alongside other Intrinsic, White and Black hat techniques. Kids relate to the Food Heroes (animated characters) while becoming Food Heroes themselves. They can help save the world (literally) by changing their eating habits, and they do so by learning about the different types of food, how it affects their bodies and also about the overall impact to the environment (Core Drive 7: Unpredictability & Curiosity). Children will have to complete the requested activities and fight back the bad eating habits alongside their friends and family members. We believe that children around the world can be heroes by eating better. They can tackle both threats at the same time to create a healthier future – and have fun doing so. The world’s most forward-looking companies – many of which we have helped – know that the only way to beat the current global engagement crisis they need to design for motivation. 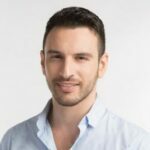 As reported by ResearchAndMarkets.com, the global gamification market was valued at USD 5.5 billion in 2018, and it is estimated to witness a compound annual growth rate (CAGR)of 30.31% over the forecast period (2019-2024). This growth is driven by the growing penetration of smartphones and the integration with social networking platforms (which has allowed users to share their experiences with friends, acquaintances, and co-workers). But mostly by the increasing recognition of gamification as a method to architecture human behavior, in order to induce innovation, productivity, or engagement. Gamification is already becoming a core innovation starrey in retail, banking and education. What about Gamification as a weapon to save the environment? So far, Gamification has been timidly adopted by a few pioneering government, social enterprises and international organisations (including few agencies of the United Nations). Although still at its infancy, there is evidence Gamification has the potential to enormously help win the game of sustainability across all areas of the global Sustainable Development Agenda 2030. The #TrashChallenge and alike will surely not be the answer to all environmental problems. But its success tells us that governments, international organizations and social enterprises need to urgently look at new ways to engage their audiences. After all, when people are not busy making the world a better place, they’re likely spending time on social media and.. playing games! Stay tuned for the next blog posts. We’ll be delving a bit deeper into how Gamification is already helping save the world!